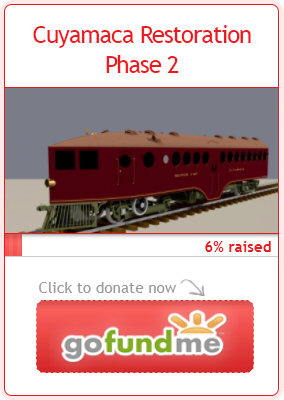 Northern Pacific Railway | The McKeen Motor Car Website Northern Pacific Railway | The Compendium of Knowledge on the McKeen Motor Car Company, and their experiments. 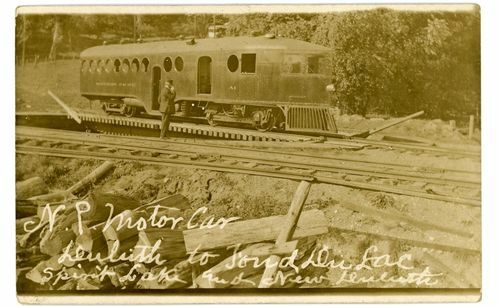 The Northern Pacific Railway bought one, 55′, 40 passenger, 30 ton, McKeen Car Numbered “A-1.” This motor car was built in 1909, and a fire destroyed car, and was then scrapped some time between 1918 to 1922. 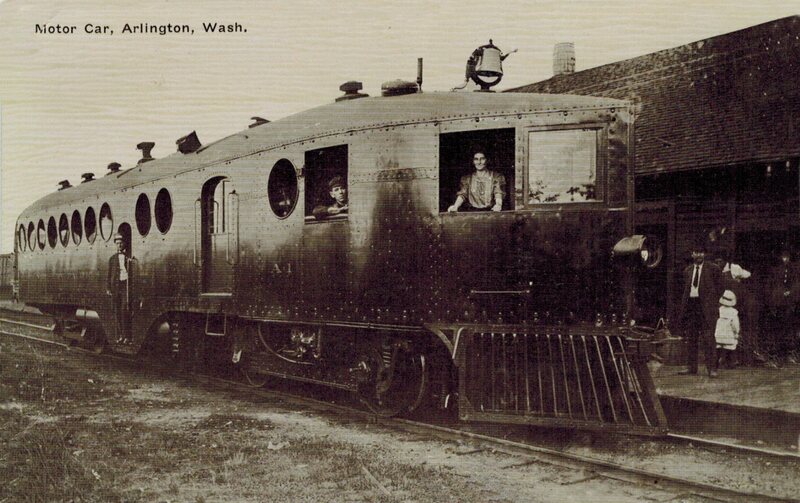 Northern Pacific “A-1” at the Station in Arlington, Washington. Northern Pacific A-1 McKeen Car on an “Armstrong” turntable. 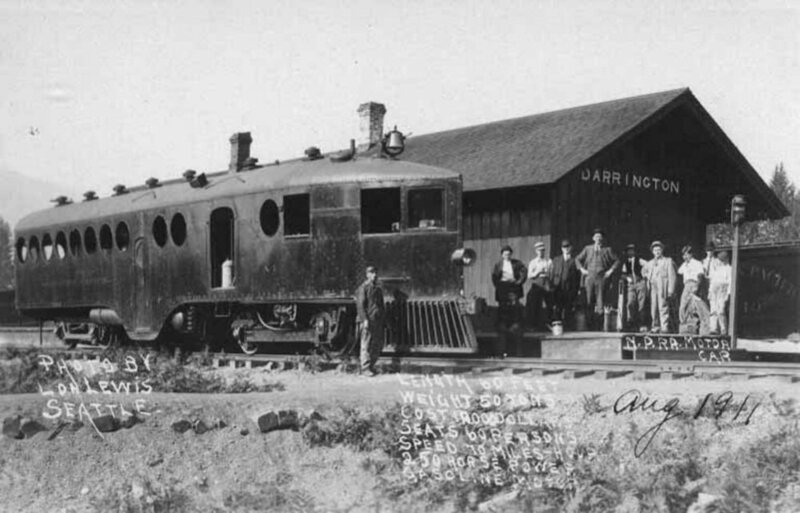 Here is a photo taken at the end of the line for the motor car run, taken at the Darrington Station/Depot. 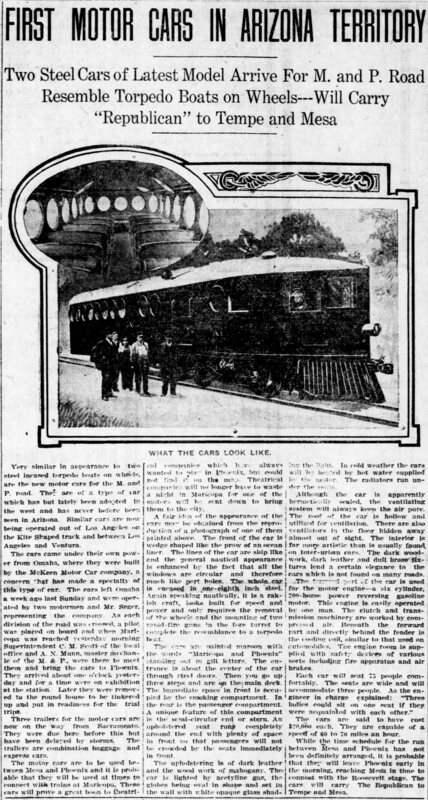 Although this is a newspaper article from Arizona for the Maricopa and Phoenix Railroad McKeen Motor Cars, this is a photograph of the Northern Pacific A-1 McKeen Car along with an interior shot of Union Pacific M-20.